Here's the 2-day agenda and the floorplan of the main venue. Join us and register today. It's free! Femke Goedhart has been working with the collaboration software from IBM, Microsoft and Salesforce focusing on topics around ECM, process management and social business adoption for the last 15 years. 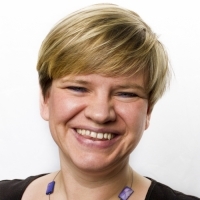 Femke works for panagenda as a Business Consultant for IBM Connections, data analytics and business development, lives in The Netherlands and is a frequent speaker at social business conferences and usergroup events in Europe and the United States. Her main focal points are in social business and software adoption, strategy enablement, business development, usability and requirements gathering. She has been an IBM Champion for the last 6 years. 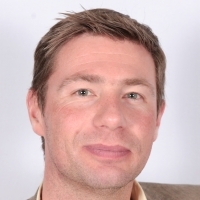 Ole Reim is working as Regional Sales Director at GROUP Business Software (GBS) since 2011. He has a wide range of both technical and business knowledge with focus on IBM and Microsoft collaboration solutions. Ole is responsible for sales of GBS´ email management platform iQ.Suite and workflow management solution GBS AppDesigner in Northern Germany, Benelux, UK and Australia. 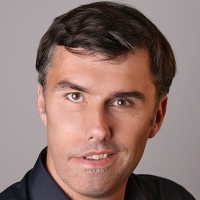 Olivier Zardini is working at Cooperteam since 2001 as CTO. He leads Cooperteam R&D and designed most of Cooperteam solution Portfolio such as MailFlow Analyzer, Desktop Manager (Notes Client Administration), Archive Mail, Domino Application Dashboard (Notes Application monitoring), Synchro Suite (NSF/ LDAP / SQL / XML synchronization toolset) and Notes Extractor (Notes database migration tool). Philippe Riand is a technology visionary who spent his career designing application development platforms. Prior to joining Trilog Group and Darwino as CTO in 2014, he spent 10 years as the lead architect for the Domino XPages web development platform, which he originally invented and which has been very successful within the IBM developer community. 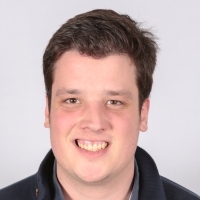 Philippe also helped develop a thriving open source developer community around XPages and has been a regular contributor to the open source community. He has been an acclaimed speaker at IBM developer conferences for the past 10 years. Philippe is currently the chief architect of the Darwino business application development platform. Jesse Gallagher is a board member of OpenNTF, CTO of I Know Some Guys, and a developer on the Darwino team. He has been working with Notes and Domino since 2004 and blogs semi-regularly on technically, primarily XPages-related topics on frostillic.us. 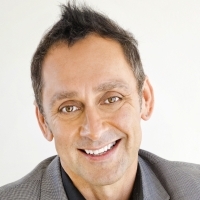 Adam Brown is a thought leader and expert for the IBM Connections social platform. Adam often presents at IBM User Groups around the world, and consults with many of the largest IBM Connections clients globally. Adam is known for innovation around IBM Connections and with the team at ISW is the creator of the Kudos Suite for IBM Connections, one of the most successful solutions for Connections in the market today. 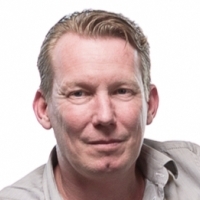 Roland Driesen is the founder of Silverside (1998) and has more than 18 years of experience in the Enterprise Collaboration market. He has worked as the Director of Research & Development, since 2010, and advises global organisations and teams on new implementation strategies. While his technical background remains in IBM and Microsoft products he has shifted his focus to Change Management. His passion is to combine technology with psychology, which created the logic for our Collaborative Culture Assessment. Frans Mandersloot is the most experienced consultant at Silverside, as he has worked in the IT industry for more than 30 years. His motto ‘lead by example’ says everything about his approach and his leadership skills. A natural communicator, he is able to move mountains in his role as Project Manager. As the team leader of our development team he is responsible for the creation of the PACE platform and its first module: the Collaborative Culture Assessment. 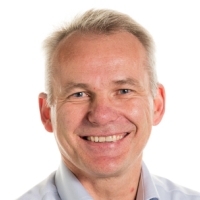 Jens Overgaard Dinesen has been working with all products in the IBM / Lotus portfolio over the last 20 years. Jens primarily focuses on the business application of the solutions. 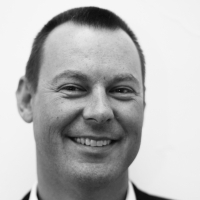 Jens is the CEO and founder of IntraVision which has delivered the OnTime solution to customers since 1998. In addition to the overall responsibility for the business he focuses on the growing OnTime customer base of in Asia / Japan and the business relationship with IBM. Jens is the founder of the Danish Notes user group DanNotes. He has been an IBM Champion for the last two years. 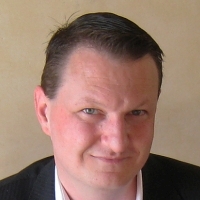 Lars Schorling has more than 20 years of experience with the IBM / Lotus portfolio. Lars primarily works with our customers and OnTime partners in Europe. Lars is the Chief Sales Officer for OnTime. Apart from the sales perspective lars is deeply involved in both the functional and graphical design of the OnTime solutions. Always with an aim to create a both visually appealing and highly useable solution for the end users. Tim Clark lives and works in the UK as the BCC Director of Services & Support. Having been in IT since 1987 he has seen a lot of technologies come and go, and some of them even come back around again. Over the years, he’s played the role of manager, mentor, administrator, educator, evangelist & more. His ability to connect with people and gain their trust is second to none. 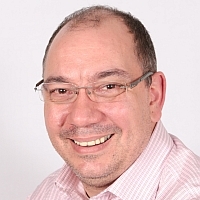 Tim specialises in Prince 2, ITIL, IBM Domino, Mac, Linux, Windows, MDM, Sametime, Connections, WebSphere and empathy based support methodolgies. He also leads the ICON UK IBM user group in his spare time. Sharon Bellamy James has been working in the IT Industry since 1996 and since 2003 she has been dabbling in all things ICS - mainly WebSphere including Application Server, Portal and Commerce, amongst many other IBM/Lotus software offerings. Sharon is also on the board for ICON UK, the UK IBM user group. 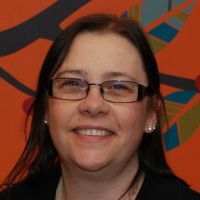 Since 2009 she has specialised in IBM Connections and related IBM collaboration solutions software. Sharon has spoken at many user groups and Lotusphere/Connect and is a 7 year IBM Champion. As Head of Product at Ytria, Ben Menesi oversees the strategic direction of product development and leads worldwide customer workshops on ICS administration & development. Ben regularly speaks at industry conferences such as Lotusphere, Engage, Auslug, and at numerous customer events around the globe. His acclaimed presentations cover topics such as Domino administration, enterprise security, and Domino replication. He has been named IBM Champion for the past 4 consecutive years. 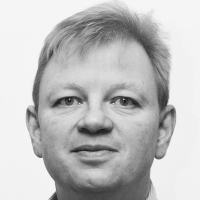 Patrick Spedding is Senior Director of BI R&D for Rocket Software, and IBM Champion for IBM Collaboration Solutions. He is also a Non-Executive Director on the Board of Eastside Radio in Sydney, Australia. Prior roles include Director of Product Management for IBM Cognos, Director of Field Marketing for Cognos, Founder of Tableau partner See-Change Solutions, and SAS Solution Manager for BI and Strategy Management. 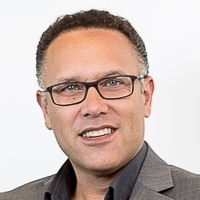 Patrick's qualifications include an MBA degree in Marketing (AIU), Diploma in Management (University of Michigan), BSc (Hons) in Mathematics (Loughborough University, UK), Fellow of the Australian Institute of Management (FAIM), and member of the Australian Institute of Company Directors (AICD). 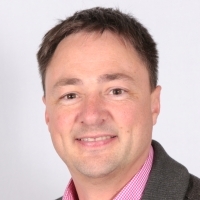 Kris De Bisschop is managing director of GroupWave, a Belgian company delivering consulting services specialized in the IBM Collaboration Solutions portfolio. Kris is an expert in IBM Notes/Domino administration, Sametime, Traveler, TDI and busy with IBM Connections. He spreads the story about Social Business at customers and loves networking. High level issues are an opportunity to accept a new challenge. When he’s not on his computer or tablet, you can find him in the sports hall playing badminton.